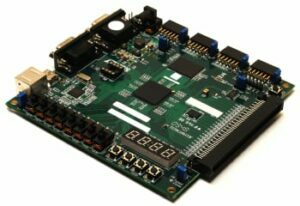 San Francisco Circuits, an industry leader in PCB fabrication and assembly, has opened a second office in San Diego. The additional office space enables the company to continue to grow and meet the increasing demand for the design, fabrication and assembly of printed circuit boards. The second office opened on February 1st, 2016. “The expansion to a new office was considered for a few years now and we decided that this was the perfect time and place. We’re excited to continue adding more team members to San Francisco Circuits to continue providing our customers with the customer service they’ve become accustomed to. With this new office, we plan on speeding up quote response time and, as always, we’ll continue providing high quality product on time,” said Sam Danovich, Vice President of Sales of San Francisco Circuits. San Francisco Circuits pride themselves on offering unparalleled technical expertise, competitive prices, and progressive solutions that meet even the most challenging design briefs. The new San Diego office will work closely with San Francisco Circuits headquarters in San Mateo, California.